Can this food pan go in a steam table or in the microwave? This pan is designed to store, transport, and serve all from the same pan. However, it features a temperature range up to 210 degrees Fahrenheit, therefore it is not suitable for steam table or microwave use. 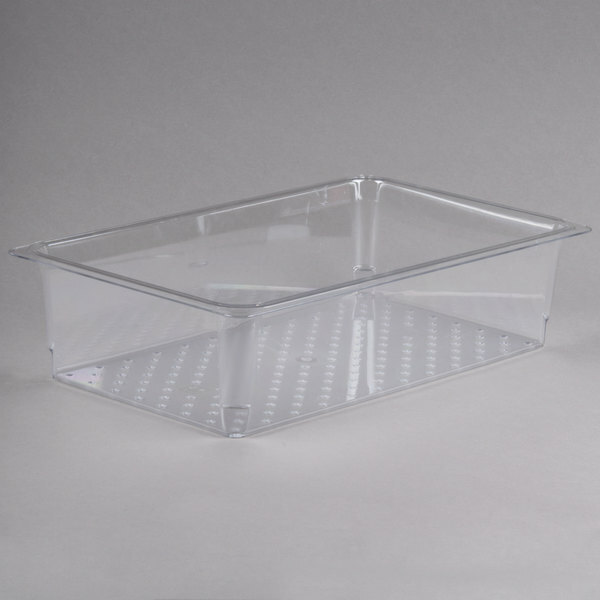 This Cambro Camwear 15CLRCW135 clear 5" deep polycarbonate colander pan easily slips into 6" deep (and deeper) full size food pans to allow you to rinse, drain, and store contents all in one pan. 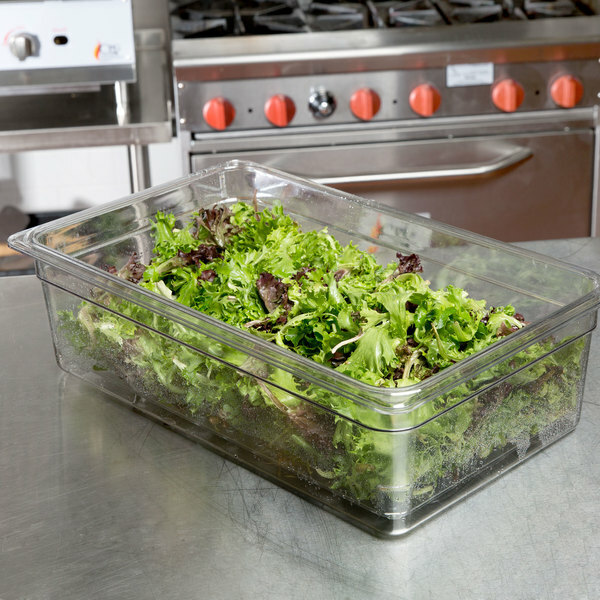 You'll be able to safely and easily drain fruits and vegetables, thaw meat or poultry, or store seafood on ice as liquids drain directly into the food pan below for enhanced food quality and reduced handling. This 5" deep full size food pan colander simply lifts out of the food pan for safe and quick disposal of liquids as needed. This product can expose you to chemicals including Bisphenol A (BPA), which is known to the State of California to cause birth defects or other reproductive harm. For more information, go to www.p65warnings.ca.gov. Warning applies to State of California only. 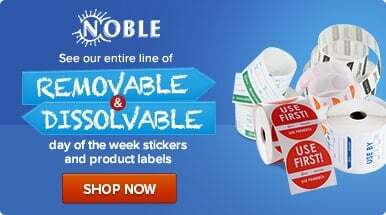 WARNING: This product can expose you to chemicals including Bisphenol A (BPA), which is known to the State of California to cause birth defects or other reproductive harm. For more information, go to www.p65warnings.ca.gov. Warning applies to State of California only. 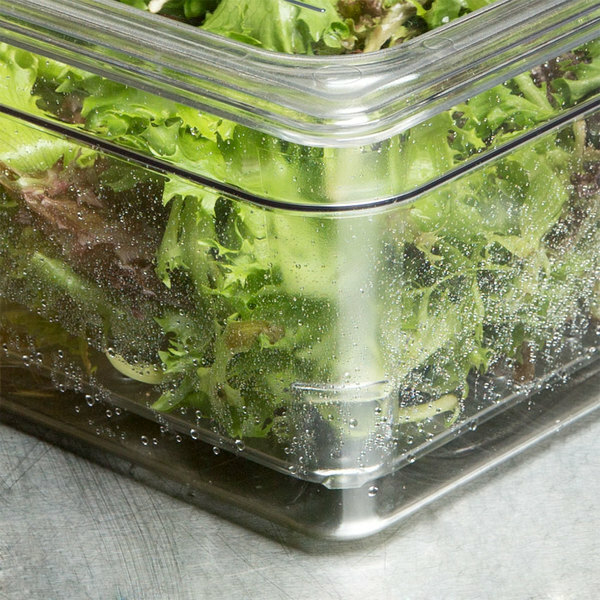 This item has been designed to help foodservice operators meet critical food safety guidelines. We use this to store our smallwares on our drying racks. Prevents smaller items from falling through the wire shelving. 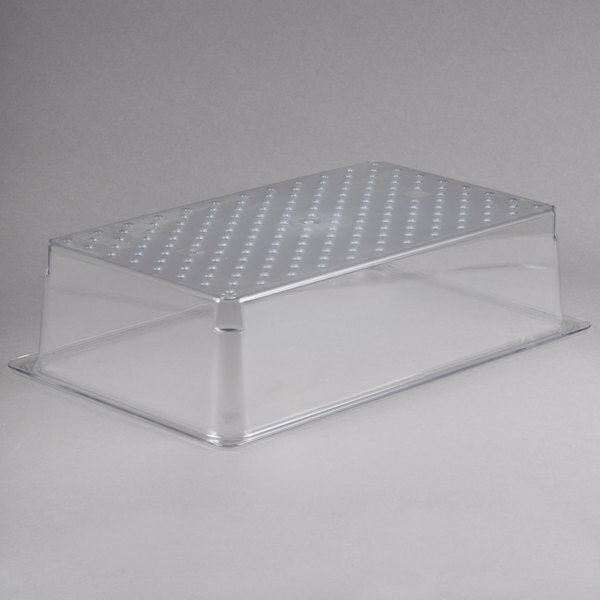 As with other Cambro products, it is very good quality. I hardly use this colander but it works great and is strong and durable. With it being made by Cambro you get what you pay for. This is a great product. I'm so happy with this colander. It lets the blood and juices drain away from cuts of meat. I've also used it for draining water off of freshly washed produce. I will be ordering more of these.